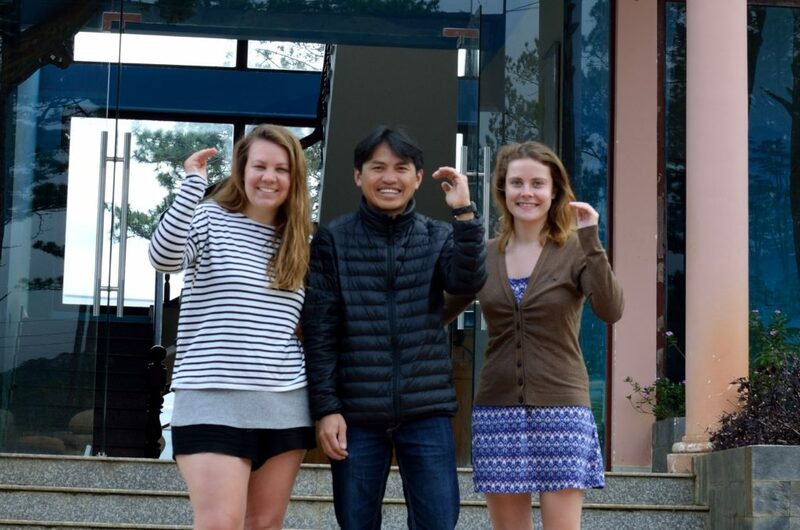 During their stay in Da Lat, Vietnam, our ambassadors Jeanne and Marie had the chance to meet with Mr. Xuan Nguyen, vice-director of the Centre for Ecotourism and Environmental Education. This Ecocentre is a body of the Bidoup Nui Ba National Park and its main function is to work towards a sustainable tourism by protecting the environment and working with local communities. Mr. Nguyen shared information about the park, the Ecocentre and the work they are achieving. 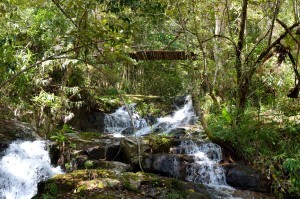 Hopineo: Can you tell us more about the Bidoup Nui Ba National Park? Xuan Nguyen: The Bidoup Nui Ba National Park, established in 2004, is named after the two highest peaks of the Lang Biang plateau: Bidoup (2,287m) and Nui Ba (2,167m). The park is the fifth largest national park of Vietnam with a total area of 70,038 ha. The particularity of this park resides in its vast fauna and flora. There are almost 2,000 recorded species of vascular plants, and over 441 species of vertebrate animals including many rare animals. The park welcomes around 10,000 visitors per year, most of them being Vietnamese people. 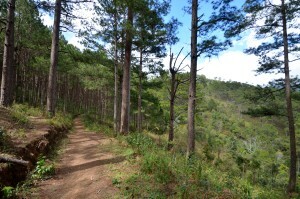 The park offers different tours to discover and learn more about the nature and the species living in the park. They are also the occasion to come across and share the culture of the local ethnic group living in the Lang Biang plateau: the K’Ho people. Hopineo: And what is the eco-centre? Xuan Nguyen: In 2011, the Centre for Ecotourism and Environmental Education was established and a Visitor Centre constructed to serve tourists. 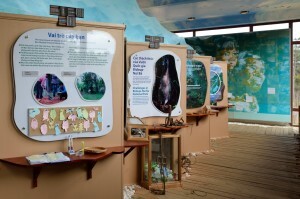 Via interactive displays at Visitor Centre, the visitors are invited to get a deeper understanding of the ecosystem and environmental issues. They can learn about the linkage and interdependence of human and nature, about the role and use of forests in human life, and about the local people’s culture. The interpretation will help them to understand our activities and the importance of protecting the nature and the environment. We also organise ecotours and specific educational activities for children and students. The centre is now a major part of the park and everyone is encouraged to visit the Visitor Centre before visiting the park. Hopineo: How do you raise awareness among the tourists about the importance of environmental protection in Vietnam? Xuan Nguyen: Vietnamese people do not realise the danger of their behaviour towards nature. Even the youngest are not aware of it. 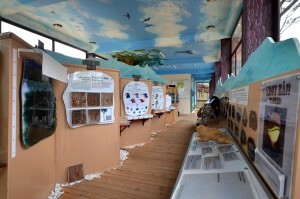 The Ecocenter is trying to be an instrument of education for everyone, and especially the children. First of all, we let tourist experience the interpretative tours and make them appreciate the values of culture and nature. Our most valuable partners are the local people who possess great sources of indigenous knowledge. Local guides always lead our organized tours and share their knowledge of the fauna and flora of the park through their daily-rooted stories and legends. The guides always make sure that no rubbish is left behind and such simple activities raise awareness about waste management day by day. Also, we have tours specified to discover the K’Ho culture and the indigenous community K’Ho Cil. For us, keeping the local cultures intact is also a very important matter for a sustainable tourism. That is why we want to share it with the tourists. But our main focus is to “target” the young generation. Therefore, with the financial help of the government, we created the “Environmental Educational Program” which allows the students of the nearby schools to visit the centre every year. With this program, each class come at the Eco-centre to learn about the eco-system and how the natural elements work together. We expect the youth to spread the information and spirit of environmental protection to their own family and community. Hopineo: How do you finance the Ecocenter and the park? Xuan Nguyen: As it is a body of the national park, the Government is supporting us. The full-time employees are paid by the government and there is national budget for the educational program and infrastructure. We also received the support of the Japan International Cooperation Agency (JICA) to help build the Visitor Centre and its interactive displays, which laid the first successful stone to the development of ecotourism and environmental in the park. The German Corporation for International Cooperation GmbH (GIZ) is also supporting the park and the eco-centre through technical projects toward sustainable development. Last but not least, most of our income comes from the fee charged to visitors joining tours or using our services. Although the amount is just enough to cover maintenance cost and remuneration to the guide, it is yet to make further improvement of the centre. Therefore, the more tourists join our activities, the further environmental education and ecotourism develops, and the better our work becomes. Hopineo: What motivates you everyday to keep doing your job and work for a better tourism? Xuan Nguyen: Simply: because of my love for nature and the outdoors, and the importance to keep them safe. 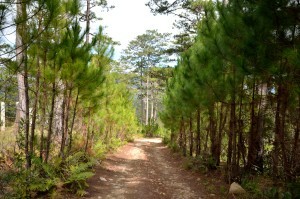 I want conserve this beautiful environment for my children, their children and yours. Thank you Mr. Nguyen for his time and for sharing his passion with us. We had a great time visiting the eco-centre and the park. 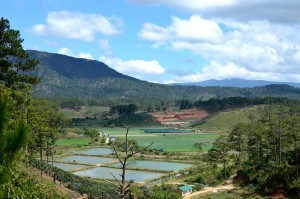 If you find yourself in Da Lat, do not hesitate to have a look at Bidoup Nui Ba National Park!